If Ocasio-Cortez moves expeditiously to broaden and cohere her wide and growing layer of supporters, this would give a huge boost to the emerging socialist movement in New York City and across the U.S., with anchors of power in working-class neighborhoods and workplaces up through national levels that could serve to unify and give voice to empowered social movements. Immediately, Ocasio-Cortez and Nixon should call mass meetings across New York City to discuss how to step up the fight for Medicare for All, a federal $15 minimum wage, free higher education, ending the criminalization of immigrants and abolishing ICE, as well as ending mass incarceration. But even within the framework of the Democratic Party, far more could be done to wage a decisive political struggle against the corporate leadership. 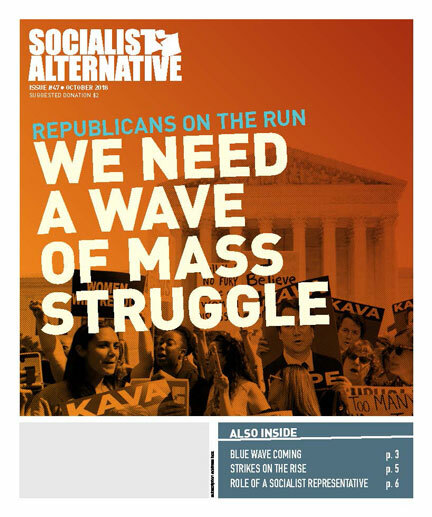 Sanders, Our Revolution, and Justice Democrats, who all supported Ocasio-Cortez, should have spent the past 18 months building and leading the movement in the streets against Trump and the right-wing agenda, and should have built a mass democratic membership organization. Sanders himself is better positioned than anyone to call for the kind of active, sustained mass struggle from below which is needed. While Our Revolution has scored some victories in the primaries, the left could have sent far more anti-establishment, pro-worker candidates to Congress around a fighting program and with an organized force at their back.